Before you can enjoy free HDTV, you have to set up your TV antenna. The Xtreme Signal J-mount lets you install nearly any outdoor TV antenna quickly and easily! This antenna J-mount provides a universal mounting solution for your HDTV antenna or satellite dish. Use it to mount your antenna to eaves, roofs, or similar surfaces. 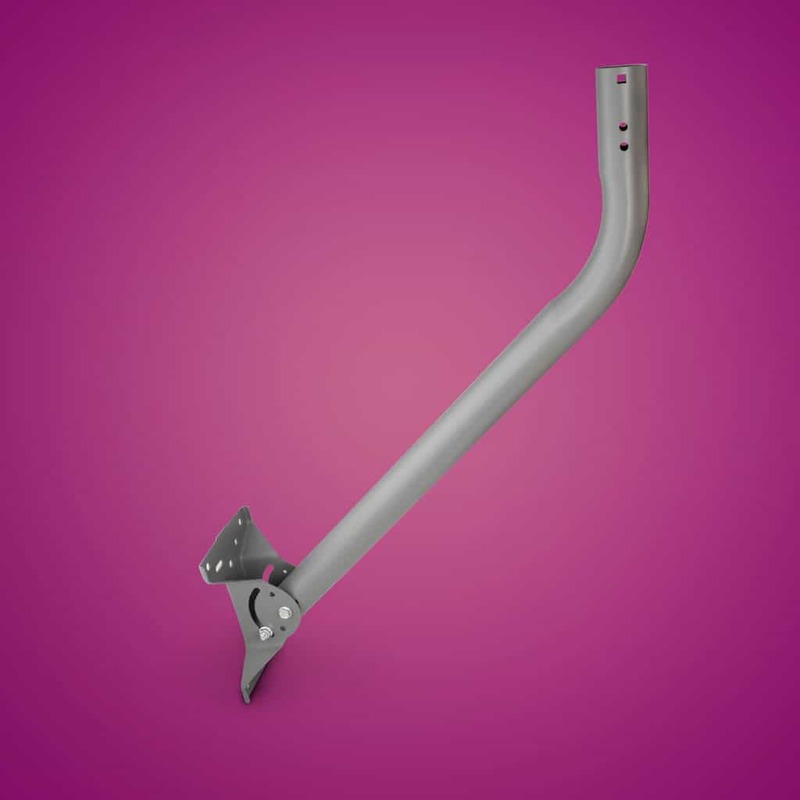 This antenna mount features a universal foot bracket that can be used on either end of the mast. It is made of galvanized steel to withstand a variety of weather conditions, and is powder-coated for maximum corrosion protection. Solid Signal is your source for this J-mount for off-air TV antenna and satellite dishes. Do you want to know more about this antenna J-mount? Just call Xtreme Signal at 877-312-4547. We can answer your questions, offer antenna recommendations, and much more.